NEW BRITAIN - Two cars collided near Exit 7 on Route 72 Wednesday morning, with non-life-threatening injuries reported. 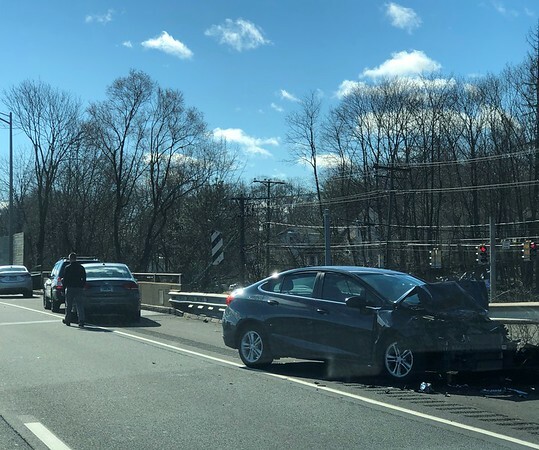 The crash happened around 9:15 a.m. as one car’s driver was trying to merge into the other car’s lane, state police said. One car sustained front-end damage that bent its hood. The accident scene was cleared by 10:15 a.m., state police said. No further information was available as of Wednesday evening. Posted in New Britain Herald, New Britain on Wednesday, 10 April 2019 21:15. Updated: Wednesday, 10 April 2019 21:17.